Not only have we commercialised the HYDRO_BOT technology with Kjus, gotten significant media attention around it, but is also won a recognised award! ISPO is the Olympics for the textile industry. 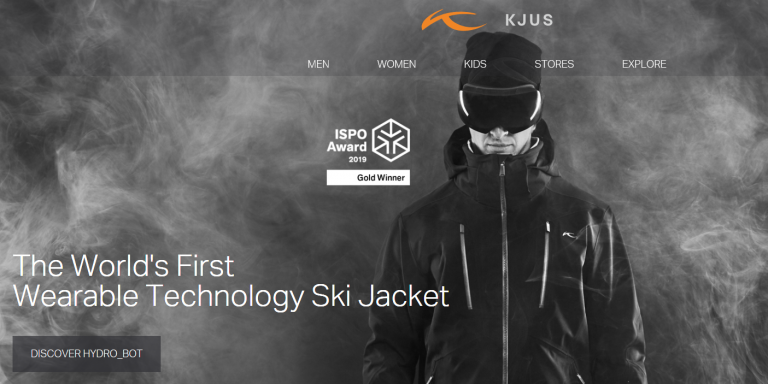 We are proud to announce that the Kjus 7SPHERE HYDRO_BOT jacket was awarded the ISPO Gold Award, meaning best product of its category – subcategory Apparel within Snowsports. Visit us at the fair! Like last year, we will be at the Mobile Health and Fitness platform: in Hall A5.10. We will be exhibiting our new HYDRO_BOT with Heating jacket, developed together with Schoeller and Topa Konfektions. We’ve taken a new step towards a fully climatized jacket, and we are proud to present the first proto for a jacket with HYDRO_BOT and integrated heating.